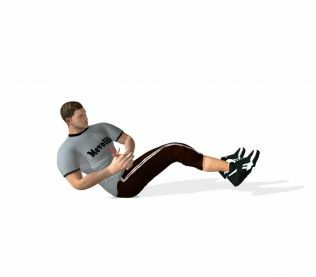 This exercise is an excellent exercise to improve the strength of your core especially those internal and external obliques that many other core exercises couldn't work on. 1. Sit with your feet flat on the floor at 90 degrees. Tilt backwards a little bit and lift your feet off the floor at about 45 degrees. 2. Put your arms in front with elbows bent and let them follow the flow of your twists. Twist your torso to your sides alternately with your head keeping in a neutral position.